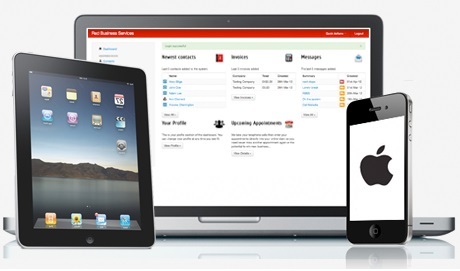 Red Virtual Administration Services (RedVAS) provide a unique all in one Customer Relationship Management (CRM) System. We save business time and money ( £ £ £) by providing RedVAS CRM. On average, we save our customers at least £10,000 per annum by enabling business offices to be accessible online 365 days, 24/7 worldwide. RedVAS CRM provides business a Customer Relationship Management system (CRM), that helps to improve business efficiency, effectiveness and growth by improving employee and customer relationship management, processes and effectiveness. Increased business capacity to manage as RedVAS will enable development and management of your customer and business database. Improved business ability for agile (mobile) working for management and staff, promoting productivity and flexibility. Easily accessible, retrievable business and customer relations information, 365 days, 24/7 worldwide, using your built-in document storage held in virtual filing cabinets. Ability to generate and access instant reporting tools to improve and drive performance management at your finger-tips. Massive business cost savings. Access to employee human resource (HR) file and book keeping, in partnership with Sage One Accounting, accessible any time, any place, anywhere there is wifi internet connection. We specialise in providing RedVAS CRM for business supporting vulnerable people. Click on our red or white leaflet above to find out more. Dots & Commas Ltd, trades as Red Virtual Administration Services. RedVAS, saves business time and money on administrative, business support services, and book keeping tasks. By using RedVAS you will have instant access to all of your employee and business information; book keeping and HR packages. RedVAS can be compared to having professional administrative staff for a fraction of the cost, and risks associated with directly employing, and training staff. Our aspiration is for RedVAS to be market leaders for business supporting vulnerable people such as: Supported Living, Care Leavers and Training Companies. Call us today for a FREE risk free demo. All services are delivered on minimum 12-month contracts. If you are the business owner / manager and complete your business admin tasks; find out how much it is costing your business. Simply insert your daily, hourly charge rate (the rate you charge your clients for your time, or services) and average daily hours spent on completing admin tasks, into the boxes' below and learn about some of the benefits of RedVAS's services!